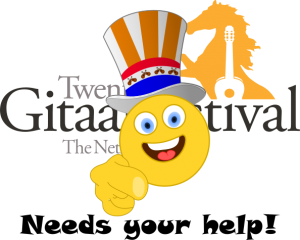 We would also like to organize the Twents Gitaarfestival in the coming years. We will only succeed if we are able to acquire sufficient budget for this. However, that takes a lot of effort every year. That is why we invite participants, visitors and interested parties to make a sponsor contribution. All contributions are welcome! To show our gratitude, we would like to give our sponsors a gift. In addition, all sponsors receive our newsletter. If you complete and submit the form below, you will receive an invoice for the amount you have promised.